The shows are incredible. We went from a local Chicago band to playing for thousands of people. Each night we learn so much from [Lupe] and his band, and each night we leave the venue a better band. In case anyone was wondering, being a rock star is awesome….. 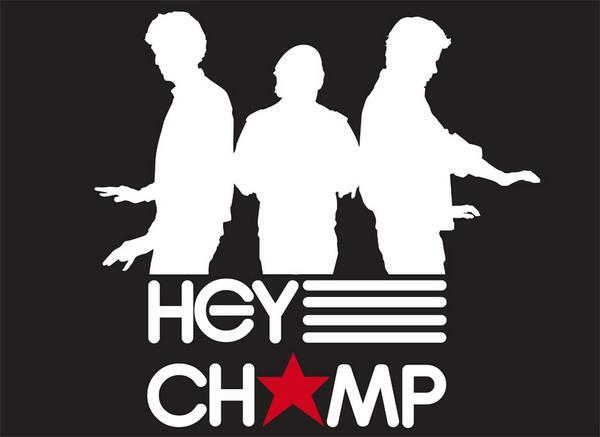 I highly recommend you take the short trip over to Hey Champ’s blog, where they’re offering a FREE download of their mixtape. The choicest jams are Neverest (Raw Man Remix), Beaches & Friends (Hey Champ Remix) and (We Are) Champions, a Cool Kids x Hey Champ collab. Tell ’em YDP sent ya! But enough talk! Now, to the music. White rappers, black presidents – until Eminem and Obama arrived, nobody believed either was possible in any meaningful way. 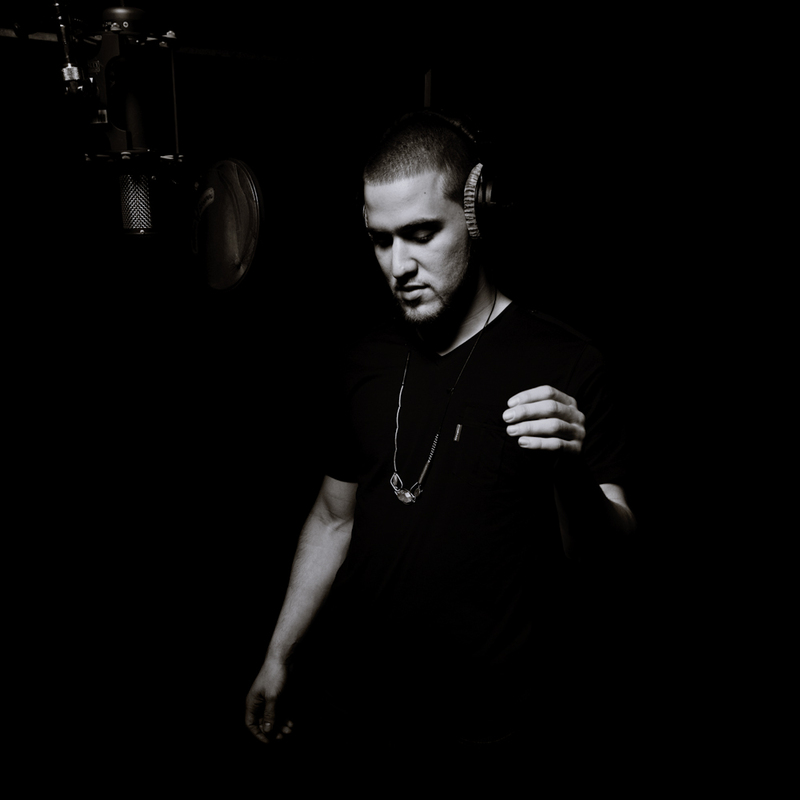 While we have to wait at least a presidential term to see if Barack’s broken the ice, Mike Posner might be making it clear that the racial barriers are crumbling across music far more quickly than they are in politics. A senior at Duke University, Posner is a Michigan native who’s been making beats since his early teens. He’s living the dream; a student by day, he tours on the weekends. When his music was brought to my attention, the first thing I did was look to see which college campus I could see him at this weekend – but recently he’s been back in the midwest and upstate New York hitting up colleges like Syracuse, with bigtime ACC spots like Maryland on his upcoming schedule. At any rate, the guy definitely deserves a listen. Here’s the Mixtape that was available for download on iTunes until recently – now that he’s been signed and has an album coming out, look for something more refined to hit the streets. If it doesn’t get you singing “Do You Like Bass, Do you Do you Like Bass” You are guaranteed your money back. By money back I mean absolutely nothing. 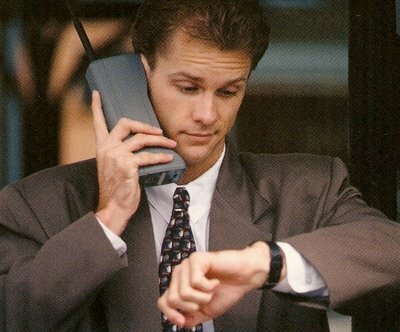 Anyways you were probably wasting your employers money by reading and listening so lets just call it even. The groups wheelhouse is pretty evident: Fun awesome synth pop! Prize, I was completely floored. If I was a betting man, I’d have lost money on Speech Debelle’s win. In fact, oddsmakers (people will bet on anything) had Florence + The Machine as the favorite (so did I, personally). But unlike our 43rd president, I don’t jump to conclusions. Instead, I decided to study the selction in a truly fair and balanced manner. I sat down, and listened to Debelle’s whole album. What I discovered were the tunes were reminiscent of Floetry’s gritty brit street rap, while at the same time evoking the lyrical complexity of Lauryn Hill. In short-while I would’ve enjoyed seeing Florence + the Machine take home some evocative Yuppie hardware-I respect and applaud the harder decision the panel made. Mining the depths of this backlog of music to get us In the Know–that’s what we live for here at YDP. For that, I salute you. But I won’t let it happen again. YDP hits the Century Mark! And of course, we’ve danced. So if you will, just pretend I’m your man Don Cornelius…and hop on the train. Until next time y’all…PEACE…LOVE…AND SOUUUUUUUL!!!! Categories What Does A Yuppie Dance Party Look Like?, Why Yuppie Dance Party? Ahhh, smells like corporate sponsorship! So you mave have heard me bringing this up a few times, but the vaunted Barclaycard Mercury Music Prize is scheduled to be awarded next Tuesday, September 8th. Unlike the Grammys, the Mercury Prize is one award for a specific category, rather than running the gamut of genres and contributions. This award, based in Britain, is reserved for what the critics across the pond deem the best album of the year. Why does this matter? Because one of the bands that I so graciously allowed you In the Know on may very well WIN this award–and well, by then it’s too late. You should consider this post a last chance for you to save yourself some Yuppie street-cred and claim you knew about them before they struck it big, although in the case of the Mercury Prize Winners, taking home the number one spot has resulted in a cover-of-Madden type curse, dooming the act to further obscurity. In fact, 2008’s winner, Elbow is just beginning to shake this stigma, with their songs getting play on shows like FX’s Rescue Me and Nip/Tuck, the movie Burn After Reading, and even the music soundtrack for thrilling zombie videogame Left 4 Dead. This five man group, lead by Gus Garvey, has been plugging along since 1990. Their breakthrough achievement didn’t come until their fourth album, The Seldom Seen Kid. Now, their single Grounds for Divorce is gaining traction. Expect another post on me Friday after the winner is announced, as well as a celebration of what may well be a death knell of their musical career. But who will be this year’s lucky winner? Tune in next week to hear YDP’s take on this year’s proceedings. It’s been a little while since I’ve found a group worthy of breaking the 10th Yuppie Commandment (thou shalt not pump up bands that make others jealous of your awesome taste in music), but here’s another one: La Roux. The electropop group, again from Britain, is like the lovechild of A Flock of Seagulls and Freezepop (which reminds me, far too few groups use keytars anymore by the way). This duo, the pairing of 19-year-old front woman Eleanor “Elly” Jackson and co-writer and producer Ben Langmaid, dropped their self titled album in mid-march of this year, meaning they qualify to be one of this year’s hottest acts. Jackson is a ghostly pale ginger, but she works it pretty well, somehow turning her redheaded affliction into a trademark hairdo that young girls in London are emulating. Like Florence + The Machine, La Roux is up for the Mercury Prize, to be awarded in a few weeks, and they stand a damn good chance of winning, which means you’d be even further behind the 8-ball. You see where A Flock of Seagulls comes in? Three singles off the album have all got legs. It’s only a matter of time before they make their way here. In fact, let me help them out. Have a listen to these tracks. Check out the video too. It is like Tron meets Q-Bert meets those awesome commercials from Lincoln Tech demonstrating how you too can fulfill your dream of becoming a graphic designer! Anyway, enjoy, and stay tuned for the upcoming wrap-up when the Mercury Prize is finally awarded. Another group that’s kicked around for a while before catching on recently, Florence + The Machine’s July album, “Lungs,” blew up when it hit, producing 4 singles, and inspiring a ton of remixes. Apparently they were on track to really become popular, but were just on the wrong end of the news cycle–just as their album was about to top the charts, the King of Pop died, and he has continued to dominate record sales from beyond the grave all month. My overall impression of the group: Sometimes the music feels like a trip to “ye olde renaissance faire,” (Raise it up) and at others feels like the bluesy soul touched upon by artists like fellow Brits Amy Winehouse and Lily Allen (You’ve Got the Love). I definitely think the team is a keeper though, they’ll likely receive their due any day now. And now you know. If, like most people, you consider Dusseldorf’s own Kraftwerk to be one of the originators of what we now enjoy as dance/house/electro etc., then it’s easy to view Europe as a kind of Garden of Eden. Far more recently, groups like Daft Punk, Justice, and the rest of the Ed Banger crew have shown us that great dance music is pouring out of France. But the old continent isn’t anywhere near done yet. Delorean, a group that’s recently caught my ear, hails from the Iberian Penninsula. I feel a bit disingenuous claiming that I’m In the Know regarding them, because this Spanish group released an album way back in 2004, for a total of 3 before this year. Their most recent album, 2009’s “The AyrTon Senna EP,” has a bunch of cool little house/dance beats on it. You can really hear the influences of the group’s other projects, coming largely in the form of remixes, (they did my favorite re-hash of the Mystery Jet’s “Half in Love with Elizabeth”) and the experiences the group has had running their own Barcelona club. They performed in the US for the first time this year at the SXSW festival in Austin, and it shouldn’t be long before they’re doing the good ‘ol USA tour circuit. When they do, YDP will definitely get to one of their concerts, and share the magic. Today is my last day on the job. In celebration, I’m not only mailing it in, I’m providing my first contribution to a blog I frequent daily: Yuppie Dance Party. My friends call me Lord B. Hey Guys, Just wanted to tip you all off on the hot new project of international film star Emile Hirsch. You can check out his myspace at myspace.com/emilandfriends. In case you are not privy to the superstardom that is Emile Hirsch here’s a brief bio. As a kid he attended the The Hamilton Academy of Music and The Performing Arts in Los Angeles. Now he is often seen singing karaoke alongside Lindsay Lohan, Bo Barrett, Michelle Rodriguez, Kellan Rhude and Nicole Richie at Beverly Hills hot spot “Guys”. -The Man Himself, Emile Hirsch. PS. Considerer yourself honored to have received a personal email from a star of my caliber. So without any further ado, Emil & Friends has nothing to with Emile Hirsch. That was actually the actor attempting to take credit for music he did not create to make his career a little edgier and attract young hipster women. Emil & Friends is comprised of one 23-year old, production-wizard/musician named Emil. But as much as Yuppies hate finding out the Great and Powerful Wizard of Oz is just some 23-year old and they aren’t In the Know after all, they love great music even more. So let’s forgive the kid for his duplicity and take a look at some songs off the Downed Economy EP. The filters on the voices are sometimes a little meddlesome, but the beats have a great feel. Not quite dance party music, but it’ll have you bobbing your head. Would love to see him live though, get a better feel.